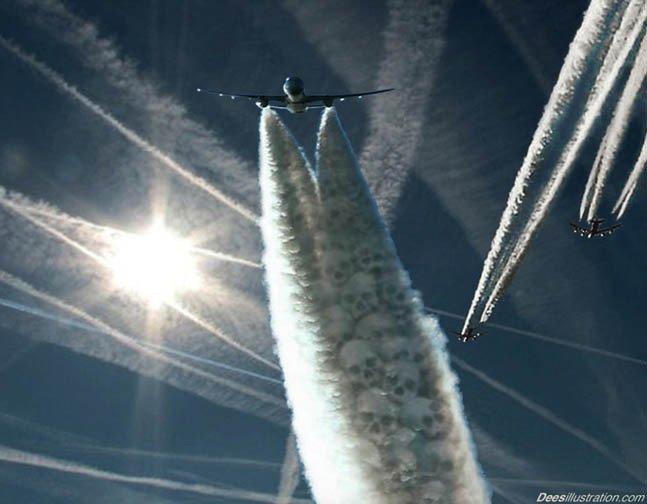 Is The US Government Suppressing the Truth About Chemtrails? The subject of chemtrails has long been debated by many people all over the world. If you or I were to start a discussion at a social gathering of friends about the strange cloud formations that litter our skies, the people we hypothetically interact with might label us as lunatics or conspiracy theorists. As a nation, we’ve been observing the formation of chemtrails overhead since the mid 1990’s and yet the vast majority of people have little understanding about their existence, purpose, and effect on the environment and human life. What are these strange cloud formations? Who owns the airplanes that are constantly spraying the crisscrossing lines that are regularly fogging up our beautiful blue skies? There are numerous theories being tossed around that attempt to explain what chemtrails are. Some researchers believe that the spraying of these clouds is an attempt to sedate and depopulate the world. Other groups believe it is an alien agenda that has the goal of terraforming the Earth for a future extraterrestrial invasion. Finally, there’s the theory that claims the cloud formations are made up of tiny metallic particles that are being intentionally sprayed into the atmosphere for the purpose of controlling weather patterns. Whatever the truth might be regarding chemtrails and weather modification technology, it’s more apparent than ever before that the United States Government doesn’t want its scientists and weather people discussing the topic in a public forum. The biggest hurricane ever recorded on the Pacific coast is going to bring dangerous flooding to Texas. This has to be weather modification technology, John. Yes I believe that you are correct. They are capable of fueling and steering cyclones/ hurricanes. This technology has become very advanced in the past ten years.